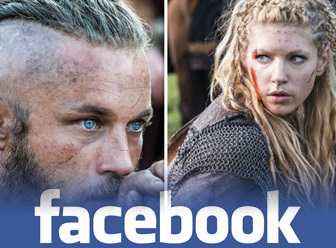 Hi there, welcome to VikingMovies.info, the net’s only website specializing in movie news and reviews of Viking movies and TV shows. Here you will find information about Viking fantasy films, historical epics, comedies, animated films, TV series and documentaries – as long as it’s Viking related and a form of movie, we’ll write about it! I recommend that you register your email in the box to the right to receive email notifications. You can also join us on Facebook. 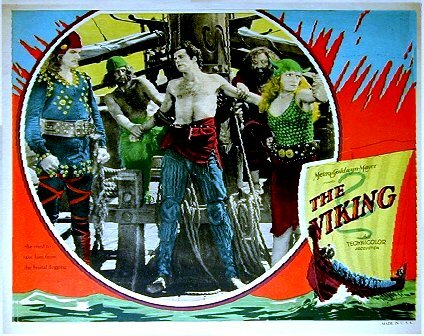 The Viking (1928), possibly the first viking film. VikingMovies.info is dedicated to information about films, video and TV on the theme of Vikings; Norse tradesmen, farmers, adventurers and – yes – barbarians who not only raped and murdered all over Europe, but also discovered America 500 years before Columbus. Viking fiction originating in the actual history of Norway, Sweden, Denmark and Iceland is produced in most parts of the world, although Europe and USA dominates the audio-visual segment. Viking movies is one of the smallest action-adventure film genres, but the potential for epic storytelling, great action and amazing images can not be emphasized enough. VikingMovies.info receives no funding or formal support from any private or government entity. We are independent, both in terms of execution and in editorial content. I discovered that there is no single, good resource on the net that collects information, news and reviews specifically on the topic of Viking movies. And when something does not exist, one creates it! Unless otherwise proven wrong, I belive this website is the first and only website that tries to be a comprehensive and journalistic resource on Viking movies. Chief editor Glenn Folkvord (b. 1974) is a Norwegian journalist, critic, editor and media development entrepeneur who has worked in radio, developed the world’s first combined shop & magazine for sci-fi movies, and is also the founder of NordicFantasy.info, the world’s only website about Nordic horror, sci-fi and fantasy films. His DVD collection counts about 4000 titles from many genres; sci-fi, fantasy, horror, action, martial arts, westerns, historical epics, exploitation, war movies, crime mysteries, thrillers, animated movies and TV series. Feel free to send any comments, questions, or suggestions to the site master here. If you want to contribute reviews, news or interviews, also use this form. VikingFilms.info attempts to review all relevant movies and books, and use souvenirs or DVDs as prizes in competitions. Each rating is a summary of the “quality” of the movie, whatever that means. A review does not necessarily include all judgements made to reach a particular rating. We do not give ratings to home made “amateur” movies made on very low budgets, or movies with no professional ambitions, as that is unfair for many reasons. Reviews are closed for comments as we’re not going to debate judgements. Unless otherwise noted, reviews are written by Glenn Folkvord. All written content is copyrighted and protected by VikingMovies.info unless otherwise noted, and can not be used without written consent. Videos and images are copyrighted and protected by their owners, and are used for promotional purposes. VikingMovies.info would like to thank Safecracker Pictures, Steinar Larsen, Dag Blomberg for their support and assistance.